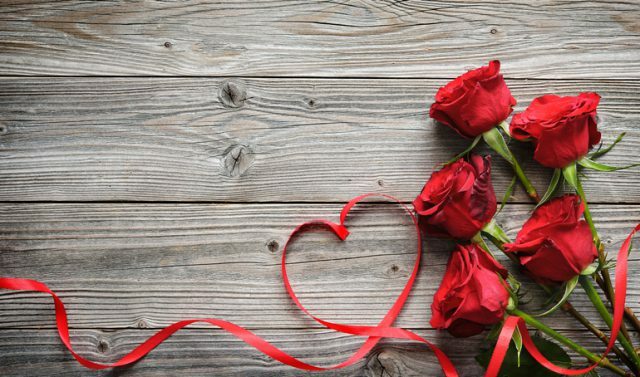 Valentines day is coming up and at Brant Florist we love to celebrate the occasion with a special selection of flowers. All of our bouquets are made with fresh flowers and in most cases we offer same day delivery. Flowers are a great way to express to someone how much you care. Here are four flower arrangements we thought you might like. 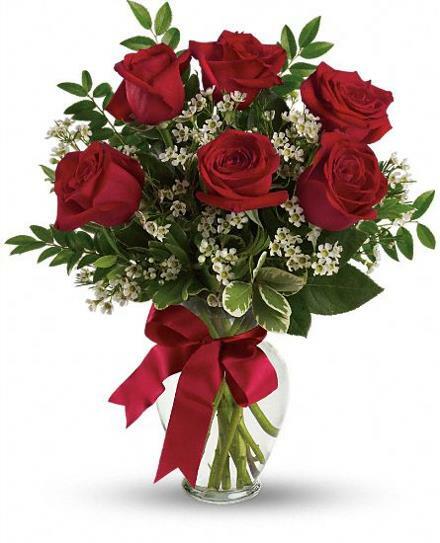 This beautiful bouquet of roses comes in pink as well and you can choose to include 3, 6, 9 or 12 roses. And in addition to the roses the arrangements also includes lush greens to complete the look. There’s just something special about roses, they’re classic and stunning. Order them now or see what other Valentines Day flowers Brant Florist has. At Brant Florist there are so many different styles of bouquets that celebrate Valentines Day. And Country Sweetheart is definitely one of them. This arrangement is classic with red roses and white daisies arranged in a ceramic crock with embossed heart and raffia bow. Make someones Valentines Day extra special with this stunning country bouquet. 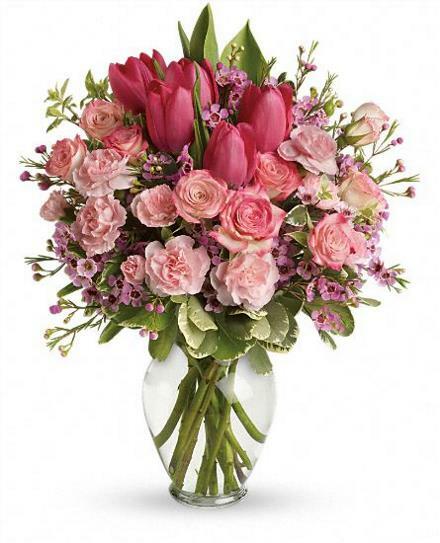 Send someone you love this gorgeous arrangement that includes tulips, mini carnations and roses. 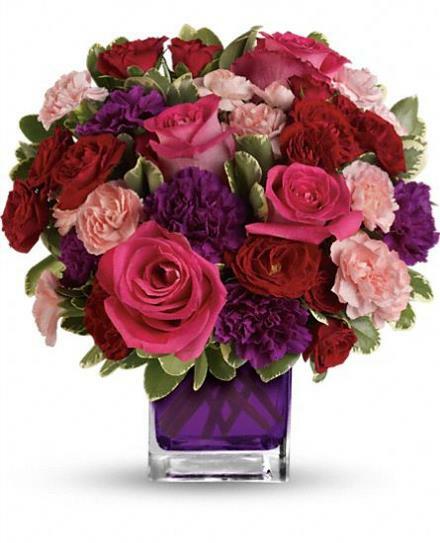 This full pink bouquet will surly make anyone in your life feel special on Valentines Day or any day! It’s important to note that this bouquet is seasonal and only available between January 15th and May 11th. Get blown away by these hot pink roses and dark spray roses. The colours in this bouquet stand out and will wow anyone who receives them. The flowers are arranged in a cube glass vase, the vase might come in purple as long as the colour is available. Order them now and make sure you get the purple vase. You can find a wide selection of Valentines Day flowers on Brant Florists website. 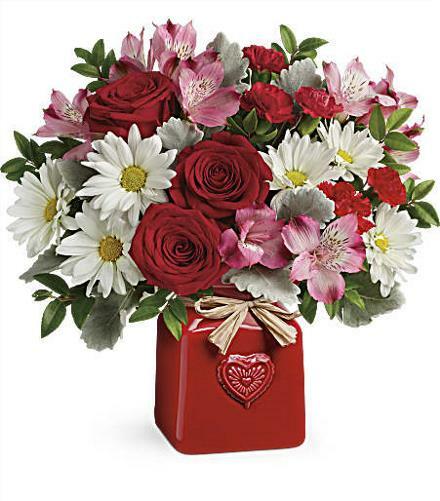 Brant Florist has such a large selection of Valentines Day flower arrangements to choose from. That’s why it’s good to order in advance. Give yourself time to choose the perfect bouquet for that someone special. It’s important to note that If there is a certain flower not in stock, florist may make some substitutions. If you have any concerns or questions about your order or future order, let us know. 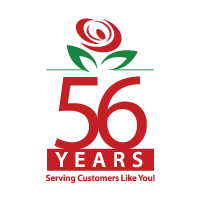 You can contact us by phone toll free at 1-877-545-5535 or email us at inquiries@brantflorist.com.